The Syma X5SC-1 is an easy to fly drone that will be perfect for beginners. It comes with a decent HD camera that can take still images in 2 megapixels. The camera comes with a 4GB memory card that lets you store your videos and pictures. Each rotor has LED lights that will make it suitable to fly at night and the 6 axis gyroscope gives the drone more stability during flight. It has a flight time of around 5 minutes,so purchasing extra batteries is advised. Welcome to another review from me,today I will be reviewing the popular Syma X5SC-1. 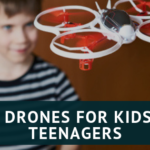 Syma are one of the leading manufacturers of toy drones and their drones are hugely popular with both beginners and drone enthusiasts. 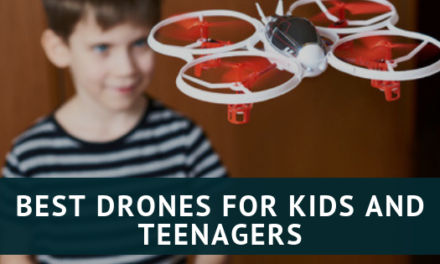 While looking for which toy drones to buy you are often overwhelmed with many choices. 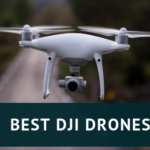 If you are new to the world of drones,you should always choose ones that are beginner friendly.I have already reviewed one of their most popular toy drones by Syma in the X5C. This review will explore the more advanced X5SC-1. The Syma X5SC-1 is an upgrade to its predecessor, the X5C-1. It has two variants, one with an HD camera for FPV(First person view) and one without. The HD camera version is able to transmit live video feed to the controller. This is the drone under review. It comes with a body redesign, a headless mode, slightly longer legs and a bigger motor. For those beginning their journey into piloting a drone, headless mode simply means you will be able to control the drone much better. 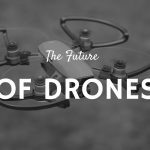 Drones without this feature are usually for the more experienced drone pilots. Syma did their best in trying to make the X5SC-1 a better choice when compared to the previous X5C-1. The various alterations to the body are an evidence of this. The latest quad features stand out from its predecessor. One of those features includes enclosed motors and pinion gears. This new little feature prevents impurities getting into the gear and rotor shaft. This is a great improvement because they will help in reducing failures in these components. The new camera mount enables the user to safely slide it outwards and inwards. You do not need any screws for dismantling or installing the camera. In the predecessor, the camera was attached to the battery door by two small screws, it was near impossible to dismantle unless you had the right equipment. As for the battery cover, this latest model’s cover is much more robust, designed better, faces the rear and is much easier to use. The drone’s enhanced power switch located below the body is another nice touch to this model. Another great improvement is the landing legs which are much longer. 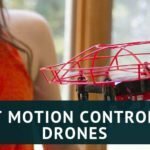 This will safeguard the drone’s camera against landing close to jagged surfaces with much better protection. They are invaluable if you are always land on rough surfaces or your landing skills still need improvement, the longer landing gear will make it easier. Other innovative little details like graphics and redesigned vents are also features of the improved body. This model has a lot more flight power than its predecessor. This is due to the 8mm motors as against the 7mm the predecessor carried. It is louder and more brutal losing some of the consistency the X5C-1 is known for. Another minor issue some have faced with this drone is sometimes it struggles to fly against light winds of around five to ten Km/h. However, this is just a select few, usually, the 6 axis gyroscope does its job and you are able to fly in windy conditions. 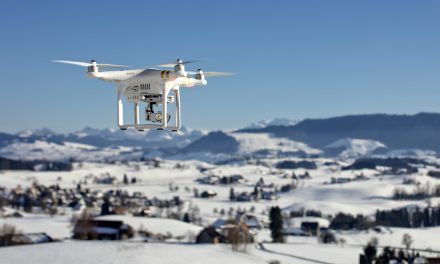 Many users believe that the drones that have trouble flying in windy conditions is an issue of a bug in the drone’s flight controller software. This I believe was a problem in the first batch of Syma X5SC’s, however, this seems to be have been fixed. Although, this being a toy grade drone you should be careful not to fly it too aggressively in the beginning if you are new to flying drones. Having said that, it can take the occasional bumps and crashes and it does get easier to fly after a while. The remote control is like its predecessor and yes it still has that fake antenna and honestly the remote is not a well-designed piece of equipment. Having said that it does do what it says on the box, the transmitter has a range of around 50 meters and uses 4 AA batteries which are not included, so do make sure you either buy some or have some spare lying around should you purchase this drone. If you scour the net you can find hacks that will extend this range to around 100 meters There is an LCD screen which displays information like battery level and throttle level. It also has buttons that do absolutely nothing (probably just put there to make it look more advanced). 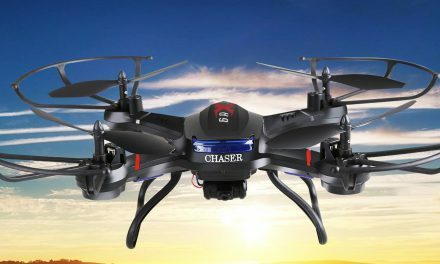 The X5SC-1 transmitter cannot be used with the older version of the drone, although the older transmitter can be used on the newer model. The camera that comes with the X5SC-1 is the same 2MP/HD 720P that comes with its predecessor. Its not anything groundbreaking however,being its a quadcopter that you can acquire for less than $100, it is still a good deal. It takes decent pictures and videos, and you can store all these pictures and videos on the accompanying 4GB memory card that comes with the drome. Although this version of the X5sC drone does not have fpv, the Syma X5SW does, so if you really want fpv capability the X5SW is the way to go. The X5SC-1 is a very stable drone quadcopter which can be a lot of fun to fly just like its predecessor, the X5C-1. It’s most evident weakness is the inability to fly in light winds. Its large motors also make it much louder and crude. Although this version does have fpv feature, you cannot connect a smartphone or tablet to get real-time fpv capability. Personally, this is a flaw that they have corrected with the X5SW. In my view drones that have full fpv capability are far more enjoyable. Although it’s a tad more expensive I would go for the X5SW if you really want live fpv capability. Regardless of the weaknesses mentioned, this is still a great drone for beginners and one that you can have quite a bit of fun with.